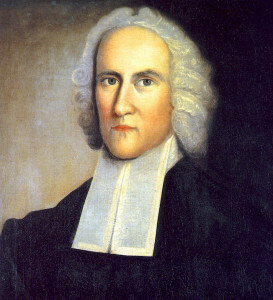 A Connecticut clergyman and religious philosopher, Edwards was an orator of electrifying spiritual eloquence, whose most celebrated sermon, “Sinners in the Hands of an Angry God” (1741), had his congregation writhing with a sense of hellfire. His preaching stimulated the “Great Awakening,” a mass religious revival that swept America during the mid 18th century. Edwards was the forerunner of the modern American evangelist preachers.